Money Tranfer to Korea with KRW is transferred to beneficiary living in Korea to receive KRW. · Foreigners or Vietnamese living abroad for over 12 months: having foreign currency or legal foreign currency income allowed to transfer or bring overseas; in case clients have legal VND income, they can buy foreign currency to transfer overseas. - Beneficiary: Individual/Corporation in Korea and/or having bank account in Korea. Competive exchange rate offered by Vietcombank and our partner’s bank in Korea (Mizuho – our strategic partner's bank). Beneficiaries recieve in KRW anddo not need to convert currency. Vietcombank is willing to meet all customers' money transfer requirements to any countries in the world with many different purposes. With the direct relationship of more than 1500 correspondent banks in the world, we are proud of helping customers save cost and timewhen clients make a money transfer. Foreigners or Vietnamese living abroad for over 12 months: having foreign currency or legal foreign currency income allowed to transfer or bring overseas; in case clients haveilegal VND income, they can buy foreign currency to transfer overseas. Vietcombank and Money Gram promise to bring customers fast money transfer service that allows beneficiaries over 190 countries and territories receive money within 10 minutes with competitive fee and excellent service quality. Foreigners or Vietnamese living abroad for over 12 months: having foreign currency or legal foreign currency income allowed to transfer or bring overseas; in case clients have legal VND income, they can buy foreign currency to transfer overseas. Beneficiaries visit any nearest Vietcombank branch with Money Gram logo to receive money and bring along valid ID/Passport and other documents showing money transfer purpose. Receive Reference Number (8 digits) and receipt. Vietcombank provides the services of receiving remittances, with which e senders can send to anyone who requests to transfer money to the recipients via Vietcombank in Vietnam. Vietcombank will contact the beneficiary and guide all related procedures. Can receiving money easily and most conveniently with attractive fee with the network of about 400 branches và transaction offices and more than 1,500 ATMs over the country. A large variety of receiving methods: cash pick-up, account deposit within or out of Vietcombank’s network. With a network of more than 200.000 MoneyGram’s agents - the most renowned international money transfer service allows you to send money to Vietnam through Vietcombank system fast, conveniently and securely within 10 minutes. Remittance fee is paid by senders. Beneficiary can choose to receive in VND or USD with competitive exchange rate without paying any other fee. Check transactions in the fastest and most simple way. Senders bring valid identification document (ID/Passport/...) and other required documents (depend on each country’s rule) to Money Gram agents all over the world. - Present valid identification document and other required document to MoneyGram’s agents. - Contact beneficiaries in Vietnam to inform about reference number and transaction details. Bring reference number and valid ID/Passport to the nearest Vietcombank’s transaction office. Fill in the receiving form and receive money for free. Beneficiaries do not need to pay any fees. Receive Form – Money Gram: Vietcombank staff will guide you how to fill in the form. Wells Fargo ExpressSend is the special money transfer service from USA to Vietnam that is built on the cooperation of Well Fargo and Uniteller – Vietcombank’s partner. Beneficiaries can receive money within 1 day without paying any other fees. Wells Fargo, the biggest bank in USA, developed modern technolody on Internet and telephone,...In addition, Wells Fargo launch a lot of promotional programs giving customers free presents with a view to thanking loyal customers for using Wells Fargo ExpressSend. · Cash pick up at Vietcombank. · Deposit to bank account. After receiving money request from Uniteller, Vietcombank automatically credits to beneficiaries' bank account. Account holders can make withdrawal transactions from their accounts according to Vietcombank’s rule. - Visit any Vietcombank counters. - Fill in receiving form and receive money from Vietcombank. - Find the nearest agents. - Bring valid identification document (with photo) and other required documents (depend on each country’s rule). - Present valid identification document and other required documents to agents. - Fill in form provided by agents. - Bring all the required documents to agents. - Receive reference number (10 characters) in case the receiving type in Vietnam is cash pick up. - Receive receipts from the agents. - Contact beneficiaries in Vietnam to provide reference number, amount of money and guide them to visit Vietcombank’s transaction office to receive money. - For beneficiaries at Vietnam: Free. Customer who want to send money from USA to Vietnam can choose the Money Transfer Service of Tin Nghia Co.,Ltd which is very simple, fast and convenient. If the amount is larger than 3,000 USD (including all the fee), personal tax code or social security number is required. If the amount is larger than 3,000 USD, customers may be requested to provide further information according to regulation of The United States. For further assistance, please contact our agents or TNMonex 24/7 Customer Service. After receiving request from TNMonex, Vietcombank will automatically credit to beneficiary's account. - Receive Reference Number from sender. - Visit any Vietcombank transaction office. - Bring valid ID/Passport and Reference Number. - Fill in the receiving form and receive money free of charge. For beneficiary: free of charge. Customer who want to send money from USA to Vietnam can choose Xoom - a service by PayPal Inc. This service will allow customers to send money to Vietnam via Vietcombank system easily, fast, conveniently and securely. Using this service, beneficiaries can have money deposited to their Vietcombank accounts instantly without paying any fee. Receiving money in VND or USD. Receiving money without any fee. Receiving option: Deposit to Vietcombank account. Account holders can withdraw money according to Vietcombank’s current regulations..
Vietcombank and RIA promise to bring customers the service that allows beneficiaries over 250 countries to receive money within 10 minitues with competitive fee. Along with the network of 500 agents nationwide, beneficiaries can receive money easily and conveniently. Vietnameses who live and work overseas would like to transfer money for purposessuch as studying, travelling, doing business, visiting, granting, sponsorship, inheritance in case of settlement and etc. Foreigners or Foreigners who live in Vietnam over 12 months with foreign currency or legal foreign currency income that is allowed to be transferred or brought overseas; in case their legal income is in VND, customers can buy foreign currency to transfer overseas. Service provided at anywhere with RIA’s logo or signage. Money Polo, also known as Mayzus Financial Services Ltd., is a young and dynamic remittance company which provides financial services that is suitable with all the customers worldwide with head office in London, United Kingdom. Money Polo's remittance service allows customers to receive remittance quickly from the sending countries/regions where Money Polo agents are located (mainly from Eastern Europe) to Vietnam. Customer information is highly confidential. Received currencies are EUR, USD or VND. Receive money free of charge. - Cash pick-up at Vietcombank's transaction offices. - Vietcombank account deposit assigned by the customer. When receiving order from Money Polo, Vietcombank will automatically credit to a valid account assigned by the sender. 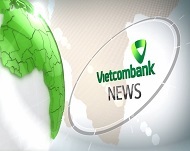 Account holders can withdraw money according to Vietcombank’s current regulations. - The beneficiary receives the Ref. Number from the sender. - Find the nearest Vietcombank branches. - Present one of the followings: ID, citizenship Identification Card or valid passport and Ref. number. - Fill-in the Receive Form and receive the funds from Vietcombank staff. - Money receive free of charge. - Find the nearest Money Polo remittance agents. - Present your identification and other necessary documents to the Money Polo agent. - Fill-in the Receive Form provided by the money transfer agent. - Handing in the completed money transfer form, the amount to be sent and paying the fee to Money Polo agent staff. - Receive the Ref. Number. (10 characters starting with 02 letters “MP” and the next 08 characters) in case the sender indicates the beneficiary in Vietnam to receive Cash. - Receive money transfer receipt from Money Polo agent staff. For beneficiaries in Vietnam: Free of charge. Domestic Money Transfer Services allow customers to send money to individuals and corporations quickly, automatically and accurately. Domestic Money Transfer is a fast, acutomatic and accurate service that allow customers to transfer money to individuals and corporates both within and outside Vietcombank. · Individuals: Account number & Account Name (if transferring to beneficiary account) or ID no/Pasport No, issue date & issue place (If beneficiary does not have a bank account), Address, Contact number. In case money is transferred to Vietcombank accounts, customers can withdraw money at any Vietcombank ATM. Note: Please note that in case there are the differences between the information and conditions about products and services of Vietcombank provided on this site and those listed in other documents confirmed by stamps and signatures of authorized representatives of Vietcombank, the signed documents with the stamp and signature of the authorized representatives of Vietcombank are considered as the legal basis to determine rights and responsibilities of the parties.